Dress to impress, it’s a well-known saying. But does it apply to all situations? I mean, how do you dress to impress at the convenient store? Tom Ford has a very specific view on that. He lives by the rule that no matter what the occasion is, you should dress up for it. Dressing well is simply showing good manners. In Tom Ford’s words: “Whether it’s a normal day at the office, a fancy cocktail hour, or a dinner with a close friend, it’s a matter of etiquette to show up dressed properly.” Ofcourse this leaves us with the question, what dressing properly is?! Who What Wear helped us with that. 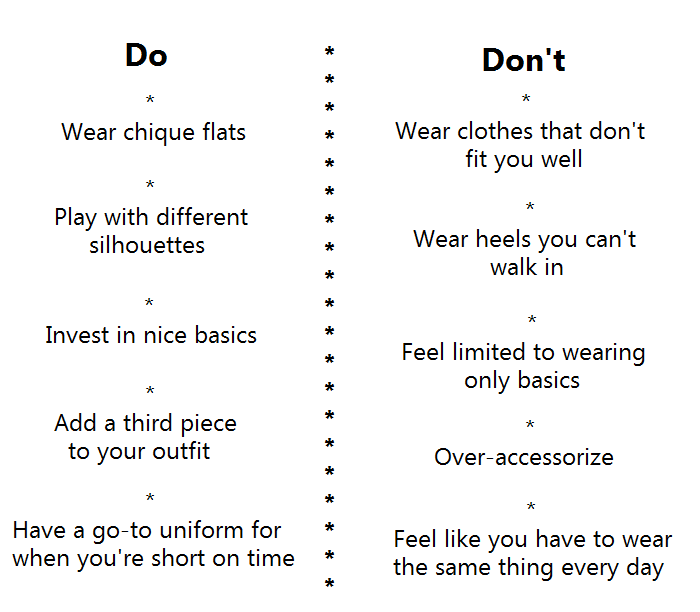 They did some research and came up with the following Do’s and Don’ts when it comes to style etiquette. I completely agree with Tom Ford! My mom told me time and time again when I was growing up “it’s better to be overdressed than underdressed!” and it’s pretty much been my life motto ever since! Thanks for sharing!